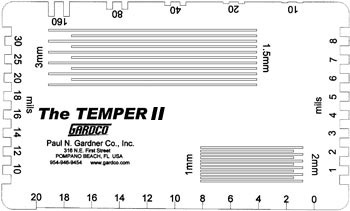 The Gardco Temper II is a handy stainless steel tool template which allows you to use all the popular crosscut spacings, 1, 1.5, 2, and 3mm, in one unit. 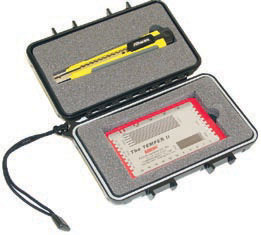 In addition, the Temper II includes two end sides with Wet Film measurement lands. 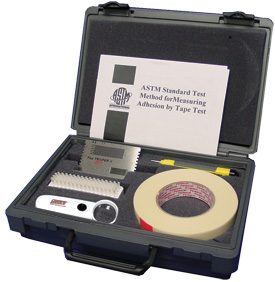 The top side edge incorporates notches similar in design to the NYPC Leveling Test Blade. The bottom side edge consists of a wedge design from 0-20 mil to allow for hiding power measurement.